Kuras Builders Inc has been operating since 1990 and has completed numerous jobs in the southwest suburbs of Chicago in both residential and commercial construction. With Kuras Builders you will get the hand-on approach of Matthew Kuras whose attention to detail will be an asset on any job site. Kuras Builders will finish basements, remodel homes with room additions, update kitchens and baths, build bars, and handle complete construction projects for homebuilding and commercial build-outs. Check out our other social media pages for updates on future listings and pictures of current projects. 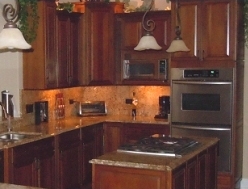 View our photo gallery to see for yourself the quality of work we provide. If you need more space or want to update the space you have, call Kuras Builders today 708-597-3317.